The 2016 North American Pair Go Championship attracted 120 players, including seven professionals, on Thursday night. The overall champions this year are Gabriella Su 6d and Jeremy Chiu 7d (right), who will represent North America in the International Amateur Pair Go Championship in Tokyo in December. 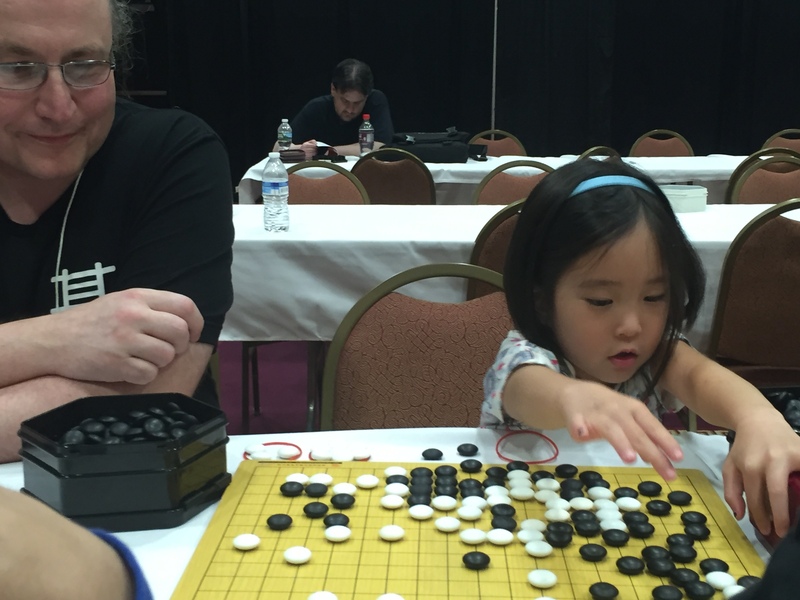 Always one of the most popular events of the week, Pair Go provides everyone an opportunity to play in a fun unrated tournament. Pair Go promotes the formation of partnerships which combine the diverse skills and personalities of each player. 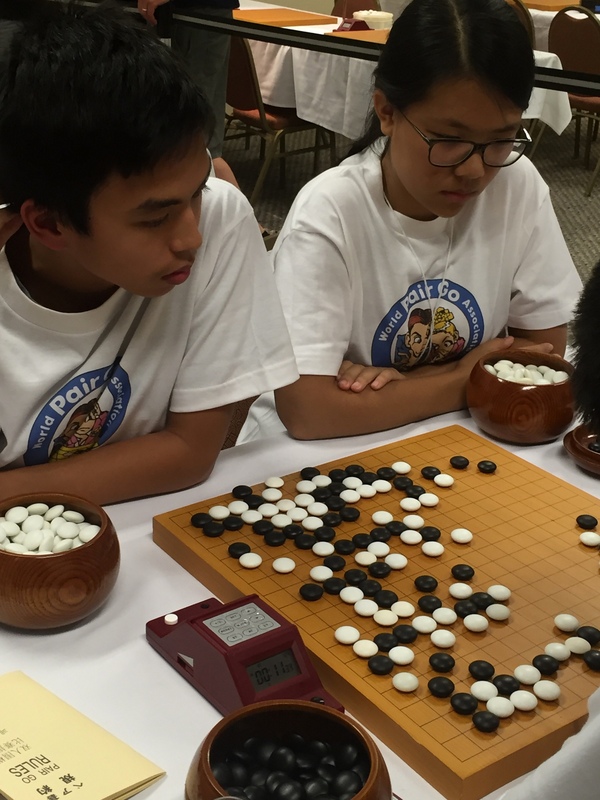 Since everyone can play, Pair Go is especially attractive for those who don’t play in the rest of the competitive tournaments during the Go Congress. The North American Pair Go Championship is supported by World Pair Go Association and the Japan Pair Go Association. The top table of the tournament determined the overall champions. As with many of the tournaments at this year’s congress, the matches played on the top board of the tournament were recorded onto the Pandanet Go Server along with a live stream on the AGA’s Official YouTube page. Click here to see an album of photos of all of the pairs in the tournament. - Todd Heidenreich, Tournament Director; photos by Chris Garlock; photo at left: Tselmuun Ganbaatar (r) and her partner Eric Hookway.